Well,I started this New Year reading, "The story of Awkward" and I couldn't have picked a better book to start the year with. It had a lot of good stuff that I like; nerdiness, fairy-tales, romance and quotable quotes. I really got sucked into the story because I related so much with the main character Perri. Perri, the artist who drew a completely different world where awkwardness was accepted. Seriously, who hasn't thought of another world to escape to when real life got to be to tough and hard. I really enjoyed reading this story and I'm glad I read it. I couldn't help but smile when this book ended but also kinda sad that there wasn't more. Anyways, I can't wait to read more from R.K. Ryals. 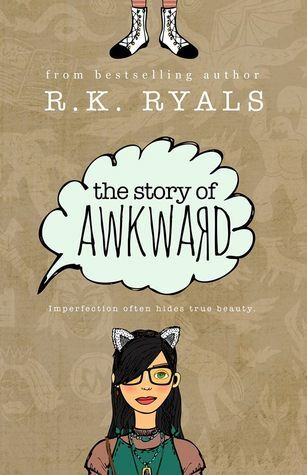 Sign into Goodreads to see if any of your friends have read The Story of Awkward. 45.0% "Have to take a break because my kindle needs to charge. :("